To be on top as an aviation professional, you cannot underestimate the importance of computers to the industry. Advanced aviation computing systems are critical to safe, seamless operations. 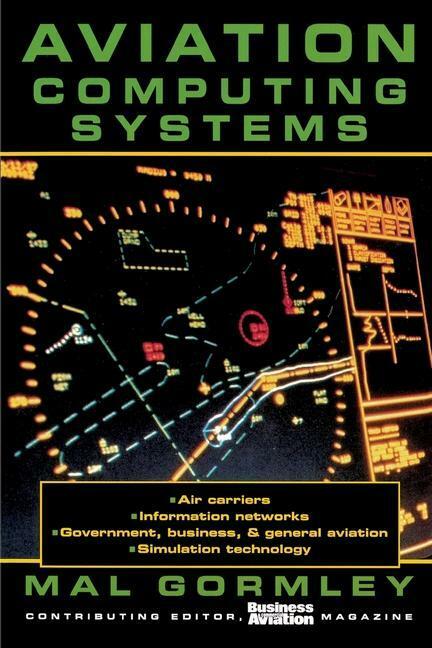 In this comprehensive reference, you'll go behind the scenes at high-tech centers of modern aviation and find essential information to help you plan for-- and succeed in-- a wide variety of careers in aviation and aviation computing. Using highly readable case studies and helpful illustrations, this handbook presents synopses of successful applications and interviews with industry leaders. Read about how cutting-edge, sophisticated software and hardware are being used in an ever-growing variety of aviation applications-- everything from new aircraft design and manufacture to flight planning, weather forecasting, pilot training, and air traffic management. Comprehensive, balanced overviews are presented on the use of aviation computing systems in the spectrum of applications, including: Airline Military Flight deck Air traffic control Simulation Communication networks You'll also get a glimpse of aviation's future, a comprehensive glossary, a directory of aviation information technology providers and related resources, and much more.